I am finally sharing how I take my photos. I already had purchased the Canon T6i (which I love)! It is not the top of the line camera but I think it does the job perfectly. It is great to use with a tripod because it has wifi that can connect to your phone. I am able to connect it and then when I am taking my photos I see what the angle is, if my shirt is untucked or if my hair is all over the place. It takes the frustration out of pictures and I almost always get the shot that I want within 4 or 5 takes. I wanted to answer some questions that I get often when it comes to shooting with a tripod. I think at first I did get a bit nervous, thinking what are people going to say about me. Once I went out a couple of times and got the hang of it, it started going so fast that I wasn’t out in public long. I also started to just chat to the people that would stare at me and tell them to check out my IG to see how the final picture turns out. I think the more I started to chat with the people and make them laugh with me, the more comfortable I got. I guess, just don’t think to much into it and have fun! When you purchase a canon camera with wifi as a feature it shows you how you can download the canon app on your phone. So when I set up to take my photos I connect the wifi from my camera to my phone. It allows me to look at myself in the app and see how I like my position, if my outfit is tucked in right, ect. I am then able to take the photo from my phone but I do have a 2 second timer set on that so I can hide my phone in my back pocket, handbag or hold it in my jacket. So most of the time you won’t be able to see my phone! I use the kit lens that comes with the Cannon T6i and I also have the 50mm lens that I like using (that you have to purchase separately). When you see on my IG feed the camera emoji followed by me on my photos it means that they were taken by my tripod and myself. Please let me know if you have any another questions and I am happy to answer! great post! we use a tripod for our photos too! fun post! You amaze me! I love this. So this is probably a dumb question, but how do you actually snap the photo? Is that with your phone or a clicker? Or do you time it? I never see anything in your hand. Amy, great question!!! I just added your question into the body of my post for you to see how I hide my phone. This is so necessary, dear. Eevery time we go more loaded! 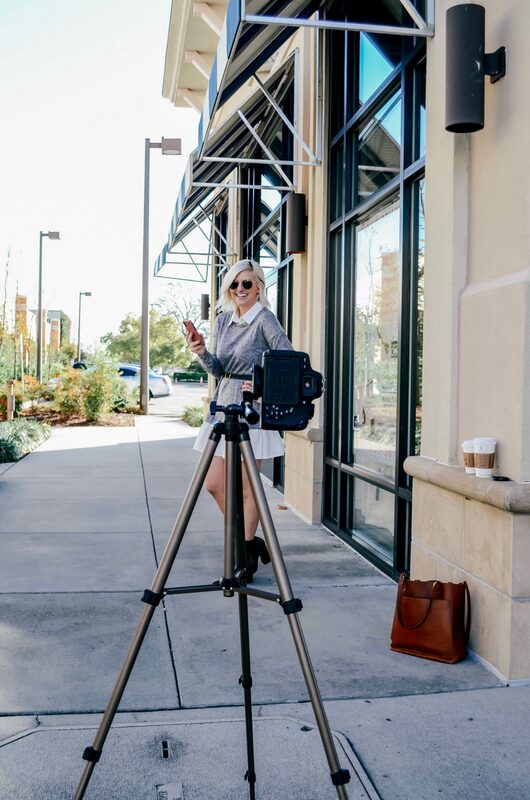 I have never worked with a tripod before but I am intrigued! Your pics came out amazing, dear! This is super informative dear! 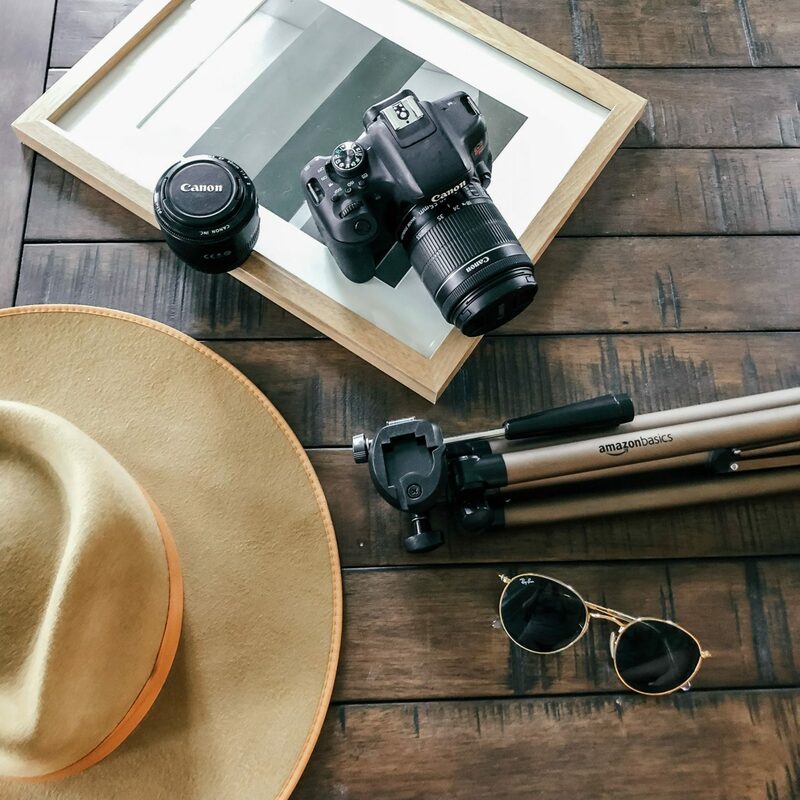 Indeed, it’s not easy taking your own photos, and this tripod tips can help a lot of bloggers out there! Thanks for sharing! This is great! I never used tripod to click my photos though, won’t lie, I still get nervous in public while shooting! And all of your blog posts pictures are taken in tripod? All the pictures look amazing!! Our partners are always so ever willing to help but i agree at times it causes unnecessary conflict. I’ve purchased a tripod but haven’t brought myself to actually trying it out. Thanks for the Canon App tip, I’m going to download that. Those are good tips. I use tripod, Lightroom and Face Tune too. It’s definitely tougher with a tripod than having someone to take the photos, but… we do what we gotta do, right?